Brugada syndrome (BrS) is an inherited cardiac disease characterized by ST segment elevation in V1–V3 ECG leads. Mutations SCN5A gene encoding for the cardiac voltage-gated Na+ channel are found in some BrS patients, but also in family members with isolated conduction disturbances. However, some patients show coved ST elevation in the inferior or lateral leads whose association with SCN5A and familial conduction disturbances are poorly known. Two novel SCN5A mutations, D1430N and Q1476X, were identified in two unrelated families comprising patients with Brugada-like ST elevation located in the inferior leads or isolated conduction disturbances. Wild-type (WT) and D1430N mutant channels were expressed in tsA201 cells. Patch clamp electrophysiological experiments revealed total absence of Na+ current resulting from Nav1.5 mutant when compared to WT channels. Treatments known to restore trafficking defect (incubation at low temperature, with mexiletine or lidocaine) did not restore Na+ current supporting that Nav1.5 mutation is not a defective trafficking mutation. Furthermore, immunocytolabelling indicates the membrane localisation of both WT and mutant channels confirming what we observed in our patch clamp experiments. This suggests that the mutation may induce a complete block of Na+ permeation. The nonsense mutation Q1476X was leading to a premature stop codon and was not expressed. 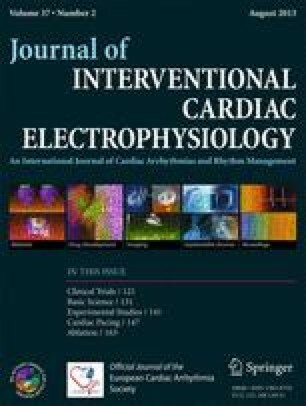 Brugada-like ST elevation in the inferior ECG leads or isolated conduction disturbances were found in two unrelated families and associated with two novel SCN5A mutations. The missense and nonsense mutations are both resulting in a complete loss of ventricular Na+ current explaining the phenotypes. Authors Philippe Maury and Adrien Moreau share co-first authorship.